I teach Whitewill brokers not just know the objects, navigate the market, make no mistakes with prices and climb construction sites. I teach them to be a human. In my understanding, being a human means to be able to communicate qualitatively. Do not make invaluable the ideas and reality of our clients. Support them, listen and provide confirmation when they share plans. Communication is a key tool for an expert in real estate. We have much to learn from our customers. They have already proved that they know how to achieve their goals. They have money in their hands, which is an indicator of their wealth. And I would not want our customers to have anything else to prove to Whitewill brokers. We must become understanding and devoted friends for them. If you cannot just listen, understand a client, share his or her beliefs, you will not have the access to our team. But we always have several jobs for qualified and professional sellers who know the market, who are still working in other companies and have proven their productivity there. There should be a deal behind your shoulders. The bigger, the better. I'm not interested in stories about how bad things are and promises about a bright future. You must sell your property well. I do not accept foul stars full of pre-identified conclusions, and who know everything better than others. If you want to join us, take off the crown and be ready to accept our rules and learn. I need humans. Understanding and sensitive people, since I trust the greatest value of the company to a broker - our clients. I select people into the team as instruments into the orchestra. They may be different, but they all should sound in unison with the overall goals of the company. Now Whitewill has succeeded in attracting good customers. We receive calls, executing deals continues. I know that not all companies can boast of such a result. A year has just begun, and we have already sold property on the total sum of a billion rubles, and this is only new buildings, without taking into account Moscow City and other projects. Time is money, therefore I try to accept only those brokers who know Moscow well and are already selling apartments. It doesn't matter if it is a secondary housing or new buildings. It does not make much difference what region and which segment you are operating in. The main thing is that you communicate with customers and you are good at selling. I do not take novices who have never sold real estate. We do not have a school of realtors, and we do not teach a new profession. There are other companies that can become an excellent school for this purpose. They will teach you scripts, typologies, tell how to publish advertisements on Cyan, search for owners, buyers, and you'll get valuable practical experience there. My opinion is that we play in the big leagues, that's why we need experienced players. I try not to accept people who have just moved to Moscow from a small town and really want to work, even if they have experience working in a real estate agency in Tula or Penza. My experience has shown that everyday issues of moving, not being able to navigate in Moscow and not knowing the local market and the districts are very delaying factors for the inclusion in working process. A person learns for several months, does not bring money to the company and does not earn it. As a result, we say goodbye. If you have just moved, you should not apply for Whitewill. There are agencies that will show you Moscow and will teach you for months. 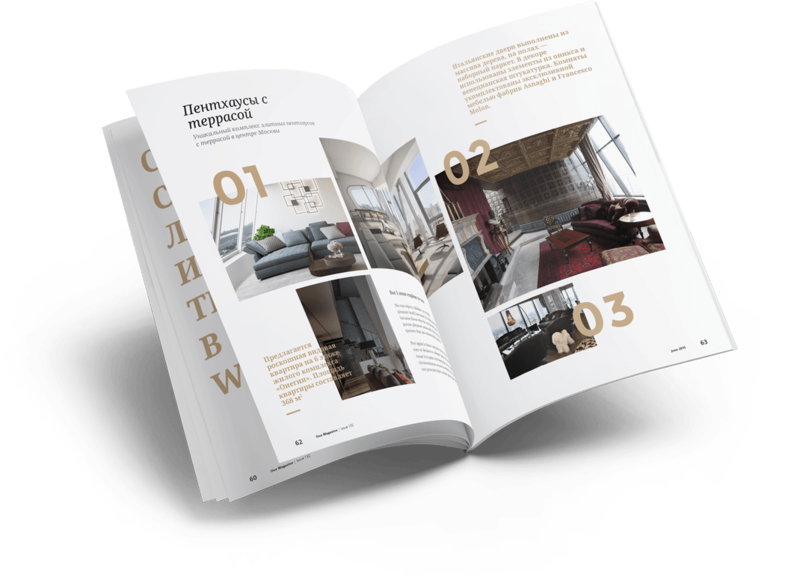 In Whitewill we already have a queue of real customers striving for 50 premium and business class complexes in Moscow, we receive hundreds of calls and applications every month for city mansions, penthouses, Moscow City towers, commercial real estate. We have no time to explain. My landmark is acting brokers who spent several years studying the market, but their employer has not learned to do packaging, advertising and does not provide good clients. Join our team, and we will earn money together. I pay 30% of the deal - immediately and without delay, deductions and tricks. We sold an apartment with the price of 30 million rubles. The developer paid 3%, thus, you earned 300 000 rubles. We sold a penthouse with the price of 100 million rubles. The developer paid 5%. Thus, 1 800 000 rubles are yours. It is possible to grow within the company, receiving 40% from a transaction. You can become the leader of the group. We have a cozy office in Imperia Tower with separate workplaces with good monoblocks. Each employee takes two tests to get into the team - productivity and personal qualities tests. If the result of the tests is satisfactory, we appoint an interview. After the interview we give two-week probation period. You will need to read and understand the company's policy. Explore several complexes and start making calls. In the process of your learning, you will study new objects, pass through attestation to confirm it and receive calls and applications for them. Here are some introductory data for all brokers who want to work with us. Follow the link if you fit our expectations - and let's do it together!